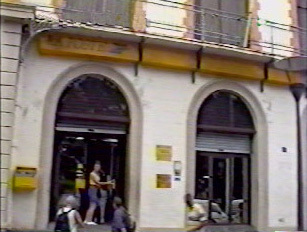 Every small town in Martinique has a post office, but it is important to investigate the hours of operation since post offices tend to have varied schedules. Some are closed for an afternoon in the middle of the week, and many tend to shut down daily for lunch in the middle of the day. Not only do the post offices handle the mail and sell stamps, but they also offer the use of fax machines and computers for checking email. One can both wire and receive money. Since the post office is allied with the government, it is possible to pay bills there and have both a checking and a savings account with a credit card. To mail a letter outside of the post office, simply look for the uniform bright yellow mailboxes. "Minitel," a forerunner of e-mail, is also available and frequently used at local post offices in Martinique.